Jennifer at Whiteport has offered STSP readers a 20 per cent storewide discount. A small Australian enterprise run from Sydney's Northern Beaches, Whiteport is a little treasure trove of homeware covetables, such as bed, bath and table linen in neutral colours and natural fabrics, which Jennifer correctly guessed, would be right up my alley. Or my bedroom. Or my bathroom. The offer is open for a week and the discount is activated by entering the coupon code 'BLOG' at the checkout. 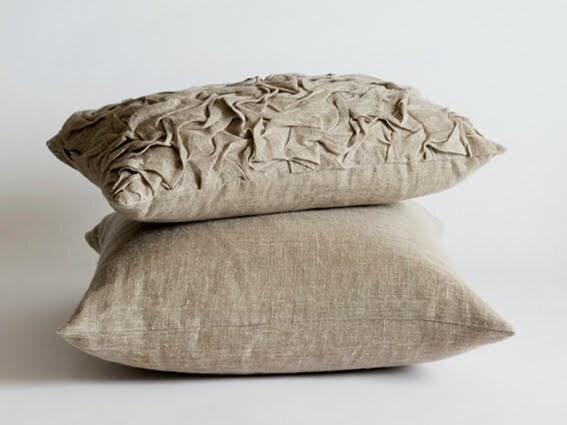 Pictured above are the Crest small ruffle linen cushion (50cm x 30cm) and Crest linen square scatter cushion (50cm x 50cm), in natural, both $89.95 before discount.